Long before we knew of a “War Room” there was a 16 year old girl named Sydney who, in the privacy of her prayer closet she, in the early morning hours, quenched her thirst and tamed her hunger to know the Lord more intimately. Every morning, without an alarm, Sydney woke up and went straight to her closet. Equipped with pillows, blanket, bible, notebook and pen she had all she needed. Tenderly she met Him in that space. 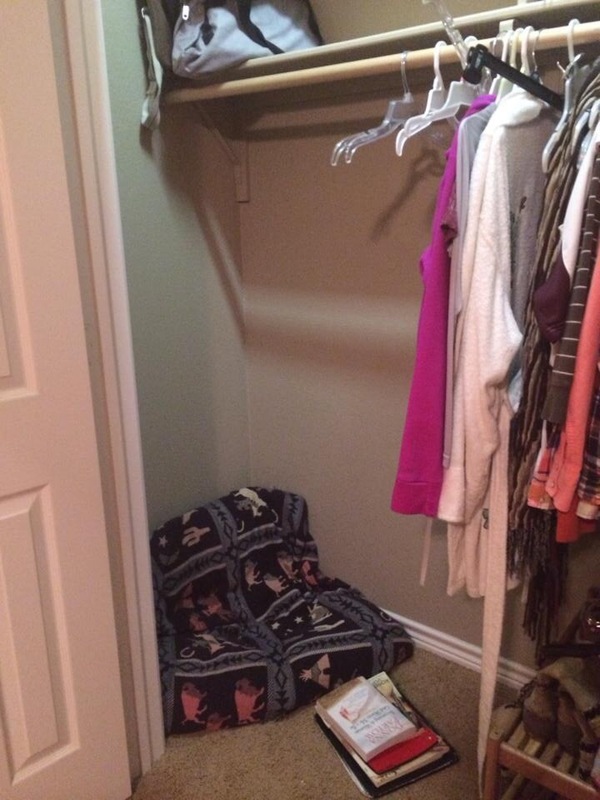 This is Sydneys prayer closet just as she left it and just before she went to meet her Lord and King. Her mother, Michelle tells it best in her own voice. Sydney made not only quiet time for her Lord, but she carved out a special place to meet in the privacy of her room…in her closet. Her testimony of faith inspires and challenges me to seek Him first in the stillness and quiet of my prayer closet. Close to midnight, at just 16 years old, Sydney was swiftly and unexpectedly relocated to Heaven July 10, 2013. Her time on this side of eternity was brief, but her impact on the lives and salvation of others truly is a legacy of a lifetime. Sydney is a present time example for me and many others, but there are many others in the Bible who have preceded her. Queen Esther who prayed in private. Moses sought quiet time with the Lord. Daniel fasted and prayed. King David did as well. The most famous of all was Jesus. God doesn’t call the qualified and equipped, He equips the called. What is scaring you might be exactly what God has already equipped you to do. To figure it out you must walk it out. There is great protection inobedience. On this side of eternity our lives are temporary. Forgive often, love much, and seek Him always. Please visit SydneyLisaJeter.com and learn more about her life, her walk with Jesus, her Legacy of a Lifetime book, Play For Jeter, and “You Are Beautiful” project for the opportunity to be a blessing to others just as Sydney is. You will be equally blessed. Excerpts taken from SydneyLisaJeter.com. Photo and excerpt used with permission by Michelle Jeter. thank you for your words. you always touch my heart and I look forward to reading her website for more information. What a simple and profoundly beautiful reminder of so many truths. Amen, amen‼ I am so grateful God stirs my spirit and gives me the words to touch others. You are a blessing my friend. Michelle is an amazing mom who’s is in the toughest faith walk. 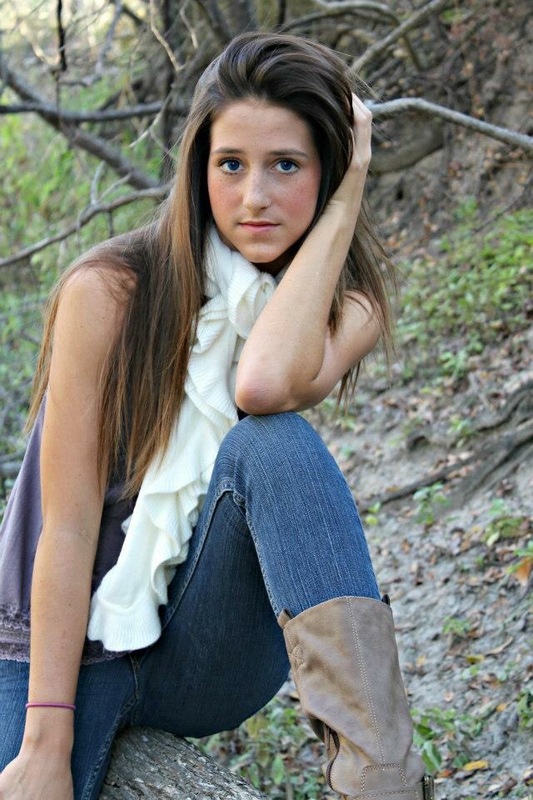 She keeps pressing forward to shine the light of Christ and cast His love through Sydney’s legacy.